Dr. Tu works in experimental particle physics where the goal is to understand fundamental particles and their interactions. The startup of the Large Hadron Collider (LHC), the world's largest and highest-energy particle accelerator, in 2009 opened up a new era at the high energy frontier. The unexplored energy domain of the LHC provides unique opportunities to answer fundamental questions in particle physics, such as the cause of electroweak symmetry breaking, the mass origin of particles in the Standard Model, the generation of baryon asymmetry in the Universe and the properties of dark matter. Exploring these topics could dramatically improve our understanding of nature. 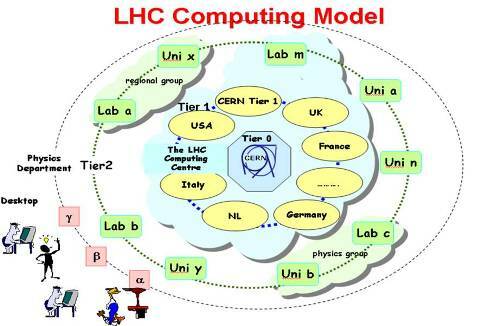 The recent observation of the Higgs boson in the ATLAS and the CMS experiments represents one such success. In view of this remarkable progress, the next several years will be a critical and significant period for the field development of the HEP. With strong support from the member institutions of the Hong Kong Joint Consortium for Fundamental Physics and the Research Grants Council, Hong Kong is now participating in the LHC ATLAS experiment. The Hong Kong particle physics group is involved in several projects including searching for supersymmetric particles, measuring the Higgs property and searching for exotic heavy gauge bosons. The group is also responsible for software and hardware upgrades: software development for muon reconstruction and testing the TDS electronic chip for the New Small Wheel of the muon detector. The experimental nuclear physics group is dedicated to the studies of the nuclear shell structure evolution and the nucleon correlations in nuclei. The experimental techniques include direct reactions, in-beam gamma spectroscopy and beta-decay spectroscopy. The state-of-the-art gamma-ray detector array and charged particle detector array will be constructed at the University of Hong Kong in collaboration with RIKEN (Japan) and IPN-Orsay (France). Both arrays are portable with fully integrable capability to the detection systems at the present facility RIKEN (Japan) and in the future-upgraded accelerated-based laboratories worldwide such as NSCL/FRIB (United States) and Spiral2 (France).